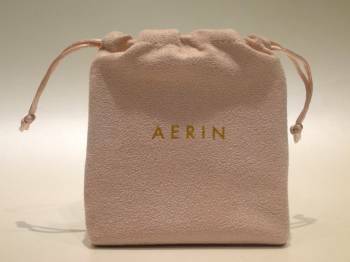 I have been itching to try out Aerin products for a while. The gorgeous packaging, coupled with chic, understated colors really appealed to me, and I thought that the Winter Color Palette would be a good place to start. First of all, the packaging is truly divine – the compact comes swaddled in a super soft, baby pink suede pouch, and it’s a lovely luxurious touch. 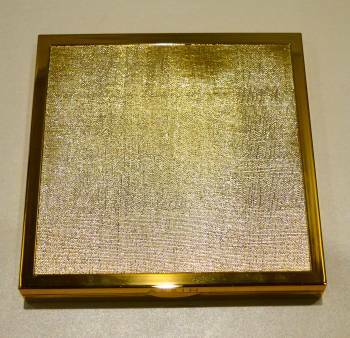 The palette itself is a great size, bigger than the palm of my hand, and instead of being gold and shiny all over, the lid is textured, meaning there won’t be buffing issues for people who hate fingerprints as much as I do! 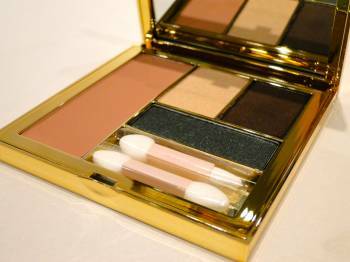 The palette feels nicely weighted, and it looks as good on my vanity as it does in my purse. 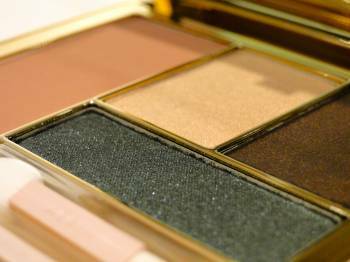 Inside, is a beautiful selection of blush and three eyeshadows. The colors are all really gorgeous – inspired by velvets and winter florals this is a Holiday palette like no other. The Rose Quartz blush, is completely perfect for winter skin, it looks like a natural flush when worn, and it has the most perfect silky texture. Midnight Lace is a stunning cream brown shadow. 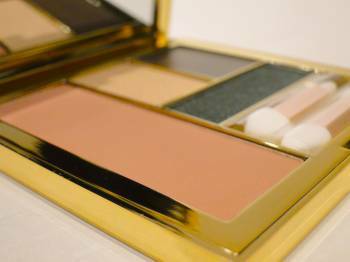 It’s super light in texture, and it builds up beautifully. 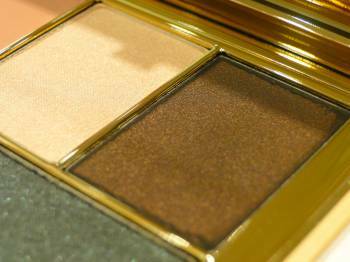 It’s cool toned, with a subtle shimmer which works perfectly on the lid, and it feels completely weightless on. Emerald is a stunning deep green with micro-glitter. It’s perfect for a pop of subtle colour, and I love it worn at the lash line. 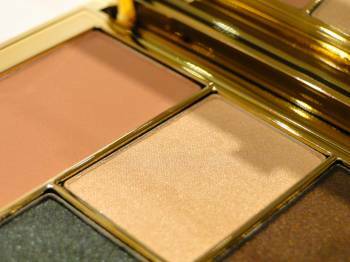 Last, but certainly not least is Brocade, a soft champagne shimmer which is gorgeous worn on the brow bone to open up the eye or on the cheek bone as a subtle highlight. The palette has been so well thought out – I’ve been reaching for it day and night, and I love the fact that for a winter palette it isn’t just full of the usual red lips and glitter. 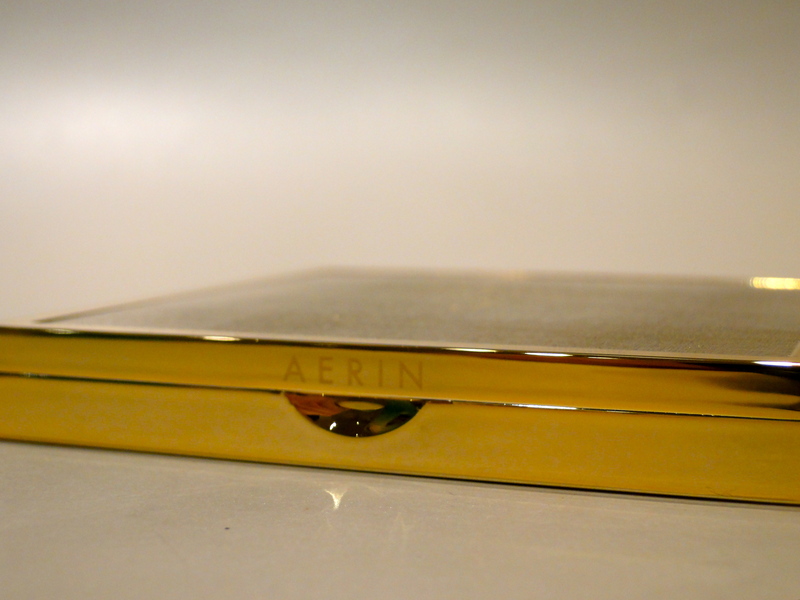 Instead, Aerin has a produced a gorgeous compact which I’m going to be reaching for well into the Spring!